“Beginners” was a movie that I happened upon last year. I heard many positive things about the film including the great performances by Ewan McGregor and Christopher Plummer that I decided to check it out. This movie instantly became one of my top favorite films of all time. “Beginners” stars Ewan McGregor as Oliver a man whose father Hal (Christopher Plummer) tells him that he is gay shortly after Oliver’s mother passes away. Oliver tries to come to terms with this revelation while also trying his best to be there for his father who is terminally ill from cancer. A while after Hal dies, Oliver meets Anna (Melanie Laurent) a carefree actress who helps him through all the pain that he has been carrying for many years. Ewan McGregor has always been an actor that I closely follow since watching him in “Trainspotting”. He has delivered consistently terrific performances since then especially in “Young Adam” and “Big Fish”. He once again proves to be a versatile actor capable of completely becoming his character as he does with Oliver. Oliver is a man who is afraid to get close to anyone due to his parents’ unhappy marriage. He meets Anna who pushes him to open up to her. 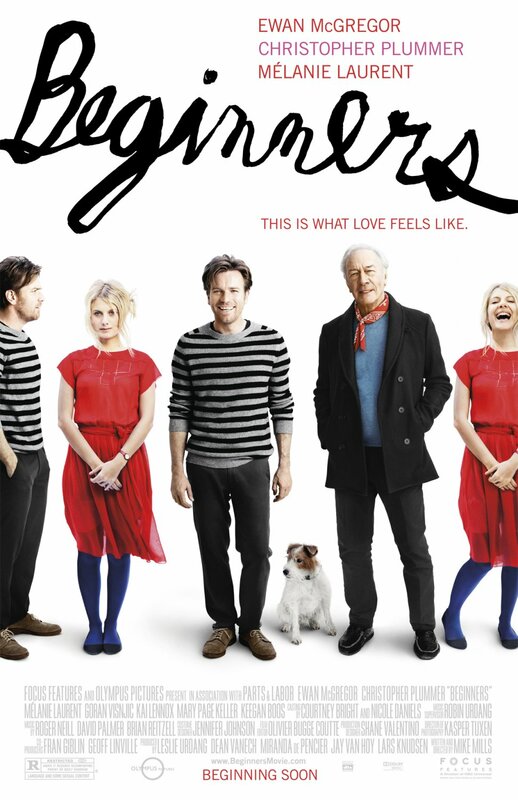 “Beginners” is a movie about trying to find happiness after a long period of great unhappiness. It strives to prove that you can change your life if only you take the steps to do so while fighting against your habitual fear of living.